Gastroenterology Specialists of Dekalb (Decatur) - Book Appointment Online! 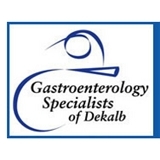 At Gastroenterology Specialists of DeKalb, we believe that your care begins the moment you contact our practice. Our staff takes great pride in delivering efficient, customer friendly care to you and your family. We know you have a choice and we want you to choose us for all of your GI needs. Our Mission We strive to provide the highest quality digestive and liver disease services to our patient population and to exceed the needs of our patients and our referring providers.